We have only a few ducks. 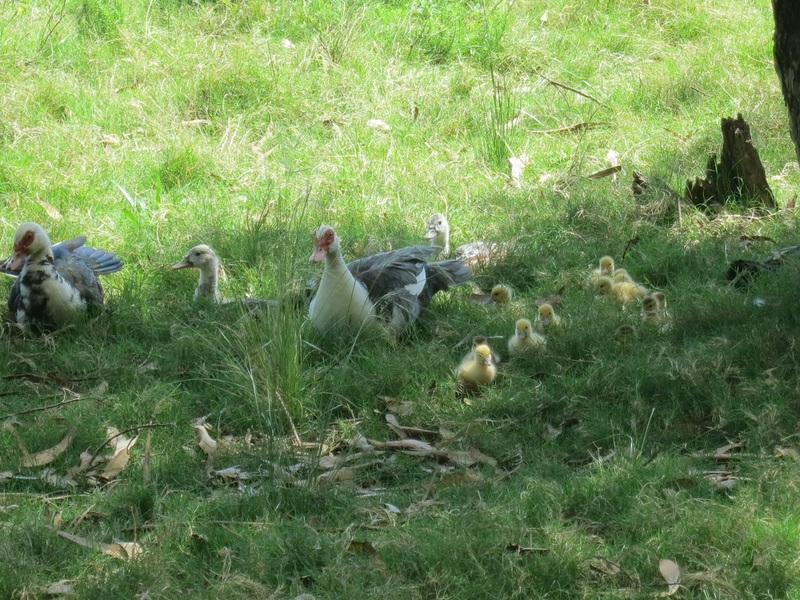 We started out with more, but as seems to be the case for non-chicken fowl, we’ve lost a few. First of all, we didn’t realize that muskovy drakes fight over territory. So there went three. Because we only appear to have enough territory for one. We lost a few ducks to predation as they kept flying out of the secure night enclosure. So we have only a few left. They have each laid clutches of eggs, but the last set did not hatch because there were goose eggs too. The goose eggs hatch in less days than the duck eggs. The mama duck got off the eggs early, so no babies. 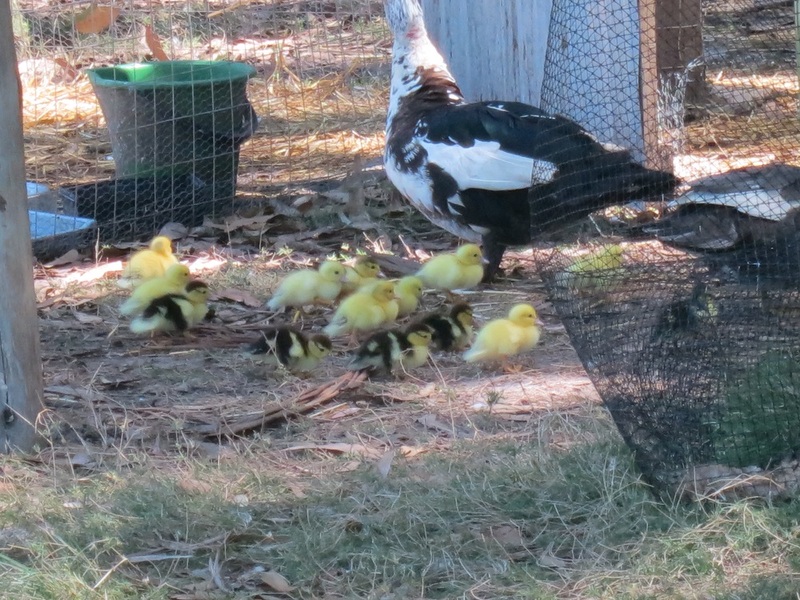 This duck, with this set of eggs, sat the entire duration and hatched out 18 ducklings. They are so cute. We’ve lost five to predation so far. Not bad, all-in-all. 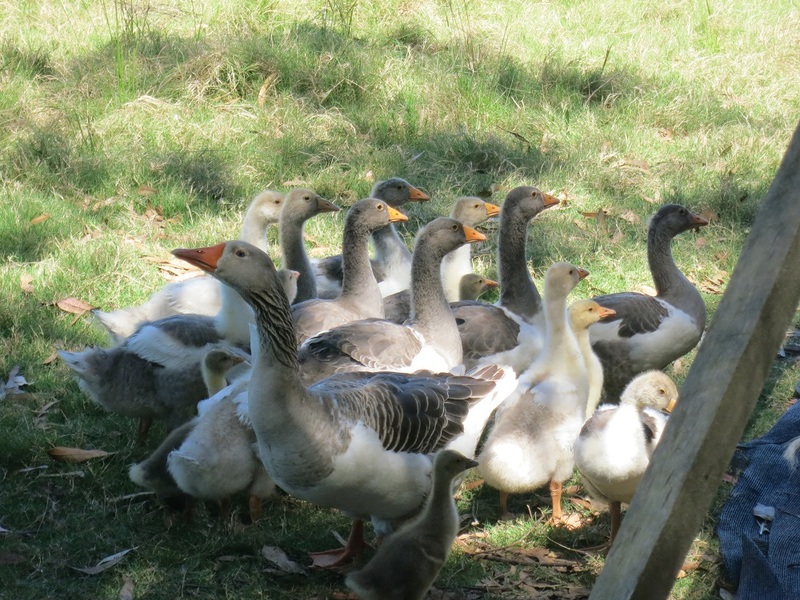 And in case you would like to see the size of our geese population, they hardly look like babies anymore.